This game is a 2D sidescroller made for one of CMU's Game Creation Society's contest, which has the theme "It's not as simple as it looks.". This game won the contest. 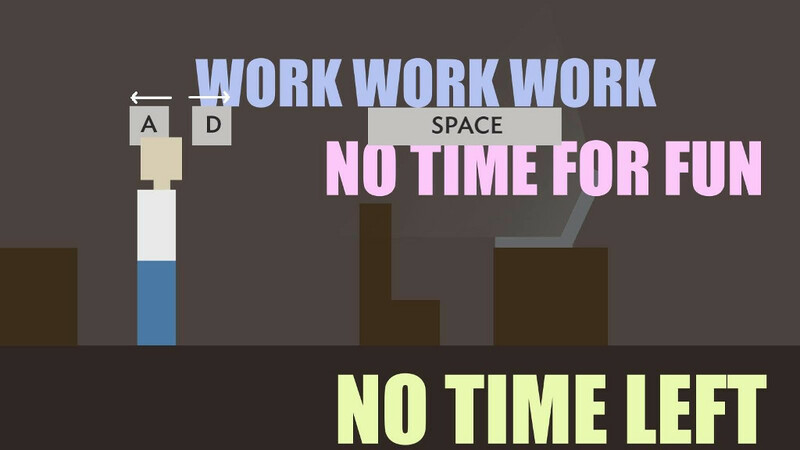 The player takes on the role of a stressed computer science student. 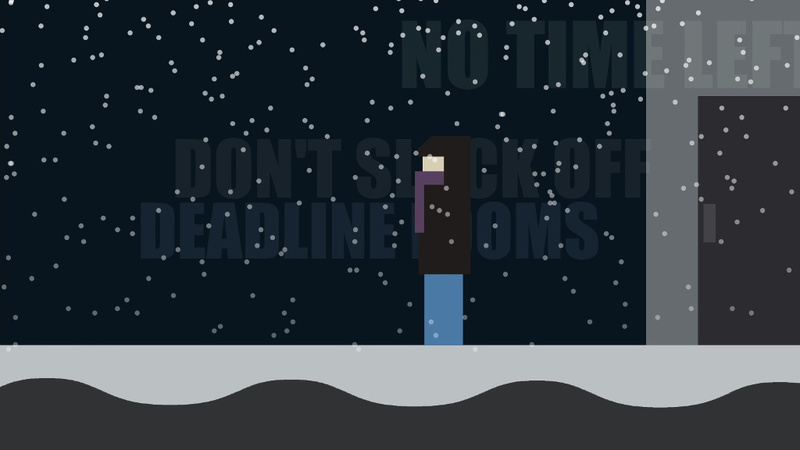 A deadline draws near, causing his environment to be filled with flashing messages of anxiety. 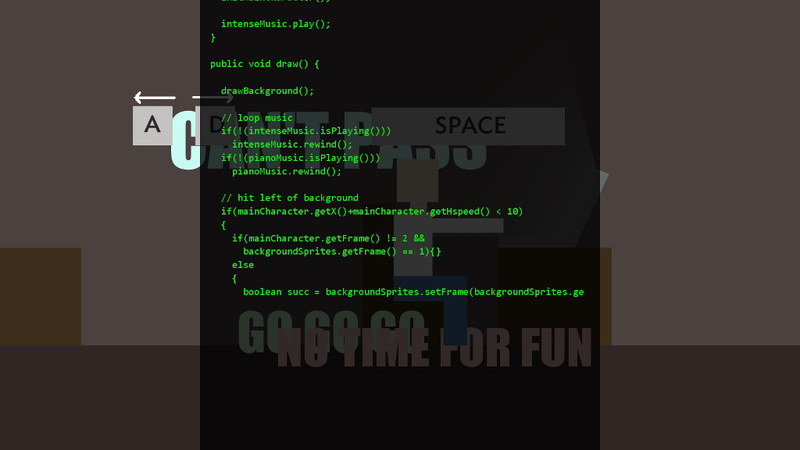 He can go to his laptop and start programming (the code he types is actually the source code of this game). 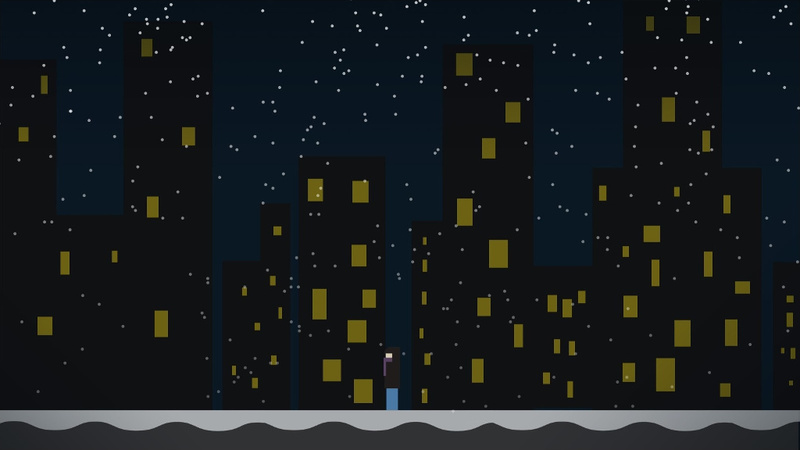 However, he can also just put on his coat and leave the house, go outside into the snow, and explore the city at night, and realize just how tiny his problem really is. By the way, I am not promoting bumming around and not doing work, instead this is a reminder that my stress is not the end of the world and thus I should not let it get to me. The game is written in Processing, the graphics are made in Adobe Photoshop. This game was made within a period of 3 days. At the time I started writing this game, I just failed to finish a difficult and long assignment for one of my classes. The stress and anxiety I felt inspired me to make this. I learned to not let those emotions get to me, and instead I need to focus on what is important and to come. Also, I had my first experience of developing a game from just a single sentence (the theme) within a limited amount of time. Finally, I just had fun writing a game that is also a quine.